Brief footage of the VIP enclosure at the arena showed South Korean President Moon Jae-in shaking hands first with Trump's daughter Ivanka, and soon afterwards with North Korean General Kim Yong Chol — who reportedly expressed willingness to talk to Washington. 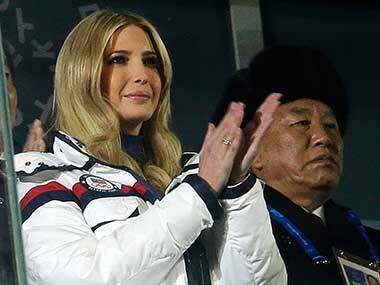 There was no indication of any interaction between Ivanka, who was placed next to Moon's wife, and Kim, who was in the row behind her — just two seats away from US General Vincent Brooks, who commands Washington's forces in the South. The nuclear-armed North has gone on a charm offensive over the games, sending athletes, cheerleaders and performers. 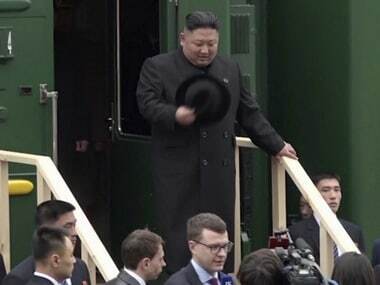 Leader Kim Jong Un's sister Kim Yo Jong attended the opening ceremony. Kim Yo Jong had no interaction with US Vice-President Mike Pence at the opening ceremony just over two weeks ago, even though they were just a few seats apart. 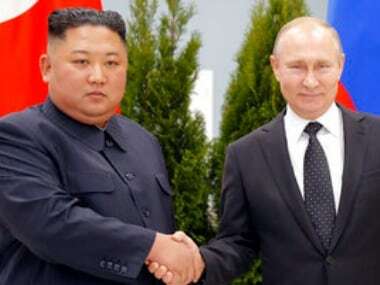 According to the US, a planned meeting between the delegations from Washington and Pyongyang the following day was cancelled at short notice by the North Koreans. Analysts say the North's overtures to the South are intended to loosen sanctions imposed over its banned nuclear and missile programmes and to weaken the alliance between Seoul and Washington. And the athletes from North and South carried their own national flags at Sunday's closing ceremony, rather than the unification emblem they used at the opening ceremony. 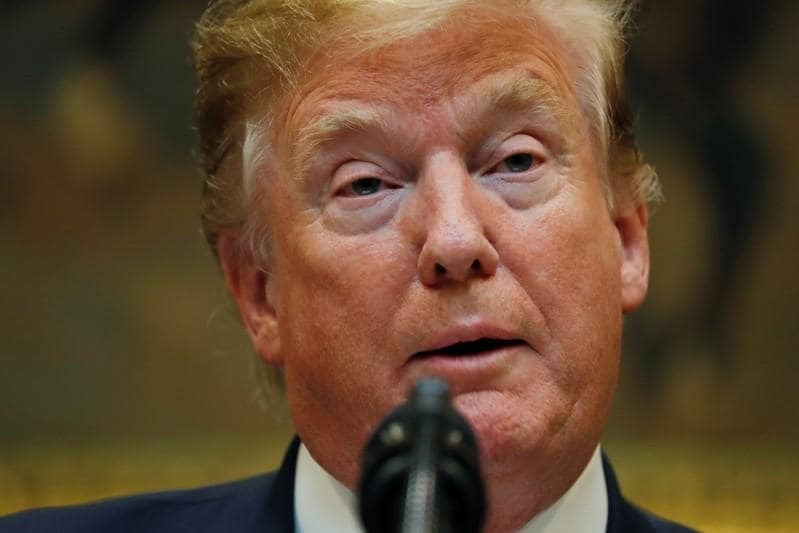 The US Treasury blacklisted 28 ships, 27 companies and one person, imposing an asset freeze and barring US citizens from dealing with them, in what Trump described as the "heaviest sanctions ever" levied on Pyongyang. Trump also warned that, if the latest sanctions do not work, the US may "go to phase two" that "may be a very rough thing". A spokesman for Pyongyang's foreign ministry responded Sunday, telling the official KCNA news agency: "As we have stated on numerous occasions, we will consider any type of blockade an act of war against us." Kim Yong Chol himself is blacklisted under Seoul's unilateral sanctions against the North, meaning he is subject to an assets freeze. He is widely blamed for attacks including the torpedoing of Seoul's Cheonan warship in 2010 with the loss of 46 lives — Pyongyang denies responsibility. They waved banners including "Arrest Kim Yong Chol!" and "Kim Yong Chol should kneel in front of the victims' families and apologise!" But Pence told an audience of thousands at the Conservative Political Action Conference that she was "a central pillar of the most tyrannical and oppressive regime on the planet". 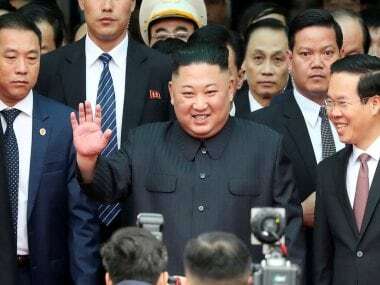 Pyongyang denounced his comments Sunday, with KCNA carrying a statement that Trump should know the North would "never have face-to-face talks... even after 100 years or 200 years" with those who had been "viciously slandering the dignity of our supreme leadership".